The FY16 Office of Transportation Safety (OTS) Request for Applications, OTS Project Application Instructions and Template and Application Score Sheet are now posted. New for this year: This application is for a three-year grant period. The first year grant cycle will begin on or after October 1, 2015. Funding for the second and third years in the three-year funding cycle will be based on satisfactory performance, adherence to the program specifications, the availability of funding and the submission of required second and third year application and budget updates. The RFA process will kick off with an informational webinar hosted by CDOT and the Colorado Department of Public Health and Environment (CDPHE) on Wednesday, February 11, 2015 at 10:00 am. Additional technical assistance will be made available through CDPHE - more details will be posted on the website as information becomes available. A recording of the webinar will also be posted for those unable to attend the webinar. 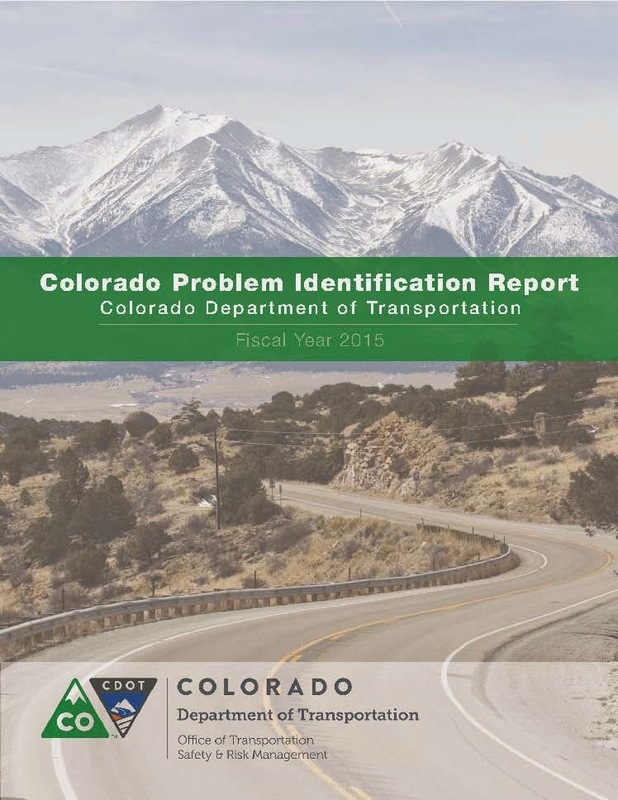 The 2015 Problem Identification Report is also available to the public.